Share the post "Fibroid Expert Dr. McLucas at Singapore Conference"
Fibroid Expert and pioneer Bruce McLucas M.D., is featured presenter at APAGE conference in Singapore this September. Bruce McLucas, MD, founder of the Fibroid Treatment Collective (www.fibroids.com) and U.S. pioneer of a non-surgical procedure for fibroids called Uterine Artery Embolization is a featured presenter at the 11th Annual Congress of Asian-Pacific Association for Gynecologic Endoscopy and Minimally Invasive Therapy (APAGE) held at Sentosa Island, Singapore from September 28 to October, 2, 2010. Dr. McLucas will demonstrate the new Uterine Artery Embolization 8.0 training module which features techniques associated with gaining access to the uterine arteries, in a learner-focused, risk-free training environment. The module was developed by Mentice, the world’s leading supplier of endovascular simulation solutions. Dr. McLucas is a Los Angeles-based OB-GYN who practices at Ronald Reagan UCLA Medical Center and serves as an Assistant Clinical Professor in the Department of Obstetrics and Gynecology at the David Geffen School of Medicine at UCLA. One of the pioneers in developing UAE, Dr. McLucas has had a career-long interest in minimally invasive therapy, serving as president and charter member of the Society for Minimally Invasive Therapy. Dr. McLucas founded the Los Angeles-based Fibroid Treatment Collective 12 years ago, and his team performed the first embolization in the United States at UCLA in 1994. UAE is a minimally invasive approach to treating leiomyomata (fibroids) compared to surgeries such as hysterectomy or myomectomy. UAE is done via femoral puncture(s) using a catheter and wires to cannulise the uterine artery. Mentice’s UAE training module enables real training for physicians to become confident with the procedural steps, the usage endovascular wires and catheters as well as delivery of embolic particles in a safe manner, while managing the patient and the risks associated with performing the procedure. 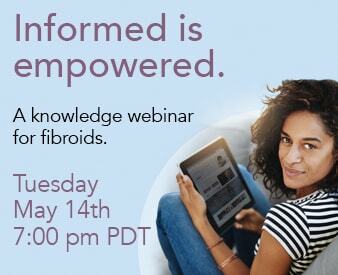 For more information about fibroids, visit www.fibroids.com or call 866.362.6463; email inquiry@fibroids.com;Twitter @fibroiddoctor; and Facebook search Fibroid Treatment Collective.